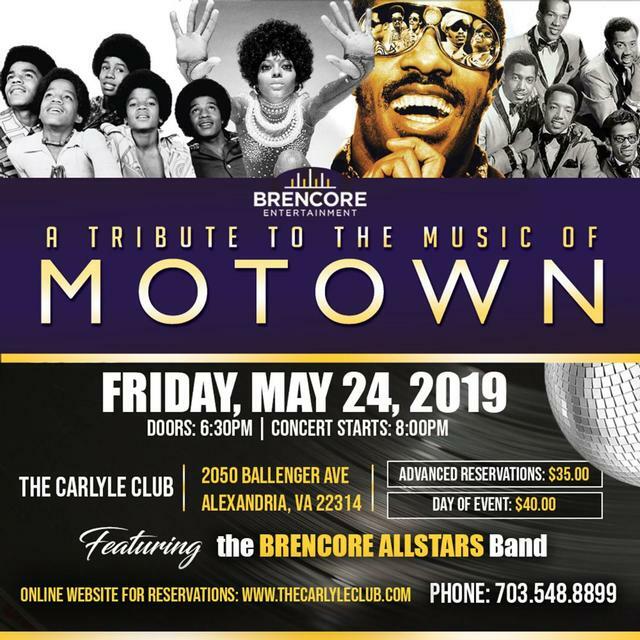 BRENCORE Entertainment returns to The Carlyle Club for yet another evening of MOTOWN Music featuring The BRENCORE ALLSTAR BAND. In case you missed the last performance the sold out crowd is still reeling from the Tribute to Smokey Robinson, Temptations, Marvin Gaye, Tami Terrell, Rick James, Michael Jackson and more. This new Tribute will be even more exciting with new artists added. Hurry and make your reservations for BRENCORE Entertainment's Tribute To The Music of MOTOWN.